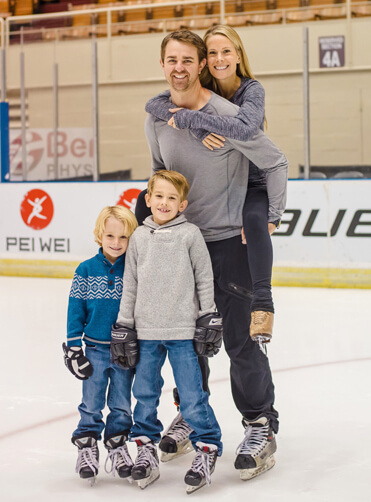 Margaux Akright is a former collegiate ice-dance champion. She’s been figure skating since she could walk. Athletics are in her bones. While she is new to running, her race times would suggest otherwise. This year will be her second year at the Boston Marathon and only her third marathon race ever. 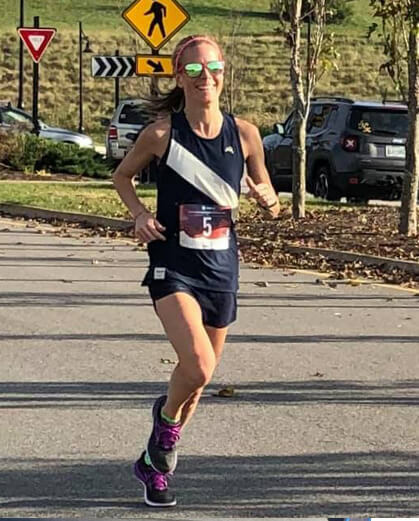 She credits her motivation in running to her mother (who experienced an unfortunate decline in her health) as being a big part of why she ultimately chose to run a marathon. Growing up in Marquette, Michigan, Margaux chose to make her debut the Marquette Marathon. Which was in and of itself a challenge. A stress fracture, weeks of recovery, 3 missed flights, lost luggage, a misplaced bib and a frantic dash to the starting line were all part of the journey just to get to the race. Margaux still crossed the finish line in 3:35:09. Qualifying her for Boston by a comfy margin. Little did she realize that this was going to be the easiest of the two marathons she would run in 2017 and 2018. 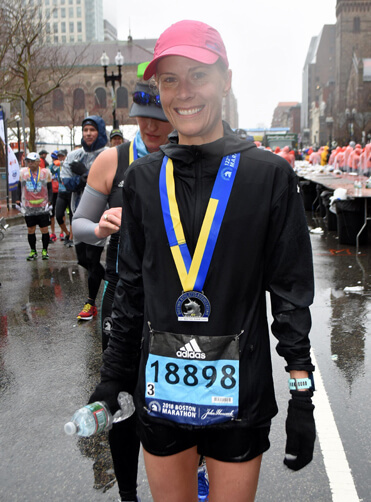 The 2018 Boston Marathon—with its oppressively brutal conditions—had Margaux literally throwing caution to the wind which she still used to re-qualify for Boston in 2019. Multiple elite frontrunners dropping out, hypothermia, 30mph winds, rain, and cold temps didn’t stop her. Saving her energy for the latter half of the race, she chose to focus on effort. Finally, at mile 24, she glanced down at her watch and discovered that she could set a PR and requalify relatively easily under the circumstances if she picked up the pace.